MPs and guests got a taste for an award winning Stoke-on-Trent beer as the Campaign for Real Ale (CAMRA) held a reception in the Palace of Westminster. Plum Porter from Titanic Brewery was among the beers showcased at the prestigious House of Commons event. “We are proud of the success of Titanic Brewery and the way they have grown a thriving business in Stoke-on-Trent North,” said Ruth Smeeth. 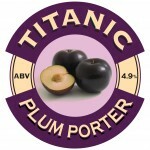 Plum Porter was a winner in the Champion Beer of Britain awards and is among the most popular beers produced by multi-award winning Titanic Brewery at its base in Callender Place, Burslem. Titanic Brewery has previously had its beers on tap in the House of Commons’ Strangers Bar and recently brewed an exclusive beer called Olde Maudit for the Parliamentary Serjeant at Arms to serve to his guests. Keith Bott said: “It was fantastic to be invited to Parliament by Ruth Smeeth and it was the first time I have been able to join her at the House since her election. For media enquiries contact Nigel Howle by telephone on 0776 2043436, e-mail nigel.howle@howlecom.co.uk. For further information about Titanic Brewery and its award winning beers visit the company’s website at www.titanicbrewery.co.uk Titanic Brewery was founded in Burslem in 1985 and has grown to produce around three million pints of fine ale every year. It is owned by Stafford born brothers Keith and Dave Bott. Keith is a past Chairman of SIBA, the society of independent brewers, and is a Director of Cask Mark, see http://cask-marque.co.uk/.